petizione: Bring Vegan Burgers to McDonald's! Bring Vegan Burgers to McDonald's! For most of us, White Castle might be best known for its starring role in the "Harold & Kumar" movie trilogy. But the iconic burger joint is trying to get another claim to fame — be the first fast-food chain burger establishment in America to serve up cruelty-free deliciousness. The East Coast staple has just announced that they are now serving the Impossible Burger, "the realistic, bleeding burger that's 100% vegetarian." Now, in 140 locations from Chicago to New York, White Castle customers can bite into a burger completely guilt-free. Vegan and vegetarian burgers like the one on the menu at White Castle don't just save animals; they also use much less land and water, which means they are far better for the environment than animal-based burgers. In fact choosing a burger like the Impossible Slider, over a regular beef patty is like saving 20 gallons of water. Restaurants like White Castle are taking notice of the rise of vegan and vegetarianism and it is helping them make big bucks. Americans are increasingly demanding less meat-based dining options. According to one survey, 47% of Americans try to eat at least one vegetarian meal per week. Furthermore, within a three-year span of 2006 to 2009 U.S. meat consumption fell by nearly seven percent. Every time a restaurant decides to add vegetarian options to their menu they are not only helping the environment but helping to save a life. And the bigger the restaurant, the bigger their impact. The impact White Castle is making pales in comparison to the potential impact a food giant like McDonald's could make. McDonald's is by far the largest fast food chain in the U.S. with a whopping 14,000 locations. If they were to start serving a vegan option imagine the amount of land, water and animal lives they could save. But this isn't just a pipe dream, McDonald's already offers vegan burgers. Just not here in America. Earlier this year, the global restaurant chain began offering soy-based burgers to its customers in Sweden and Finland and they sold like hotcakes. 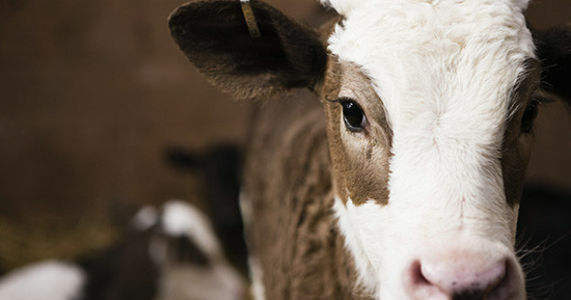 American animals and people deserve to have a cruelty-free option in McDonald's stores too. That's why Care2 is calling on McDonald's to bring their vegan burger to the U.S. If you agree, take the time to sign the petition and say "Hey Mickey D's, I want a vegan burger, please!" Burger King’s made the move to vegan friendly meals while McDonald’s is still twiddling their thumbs. It’s time to bring vegan burgers to Mickey D's too. Please share this with two of your friends to keep up the pressure.